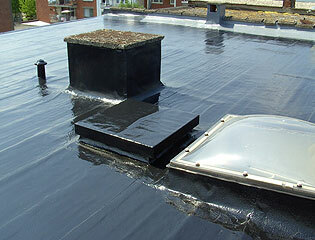 2-component polyurethane membrane for 1/1 water sealing and protection. 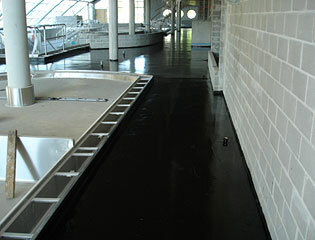 2 Duoflex Hypertectum is a fast drying liquid bitumen polyurethane components. It consists of a very high elastic membrane with strong adhesion receiver hitch on different types of surface. With excellent mechanical and chemical properties. 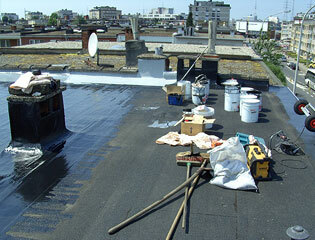 Hypertectum is based on pure elastomer Duoflex hydrophobic polyurethane resin with chemical epolymeriseerde bitumen. 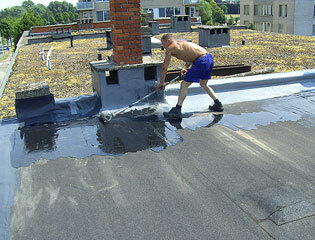 Hypertectum is a thick and flat membrane Duoflex quick-drying. Hypertectum Duoflex has very good a properties. Hypertectum has excellent mechanical and chemical properties Duoflex both. Hypertectum applicable to complex roofs Duoflex is excellent. 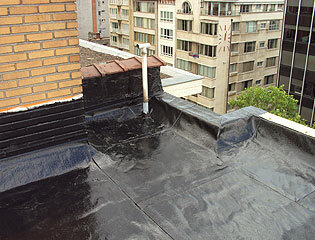 Hypertectum is very suitable for the waterproofing of roofs, verandas and balconies. Make connections, dormers and other interruptions are no problem for Duoflex Hypertectum. The application of Hypertectum with a roller, brush or Duoflex can with spatula. 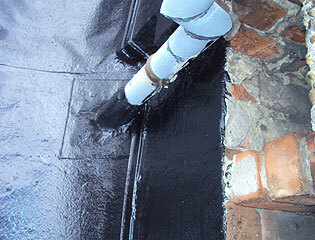 Waterproofing of foundations and cellars with Duoflex Hypertectum. In sealed packaging duoflex 2 years hypertectum can be preserved. Do not make full use of the velvorming when blending. Delete and the product Sheet more than can be used. More information about Duoflex Hypertectum? Hypertectum Duoflex want to know more about or a made to measure advice? Please contact one of our advisors.